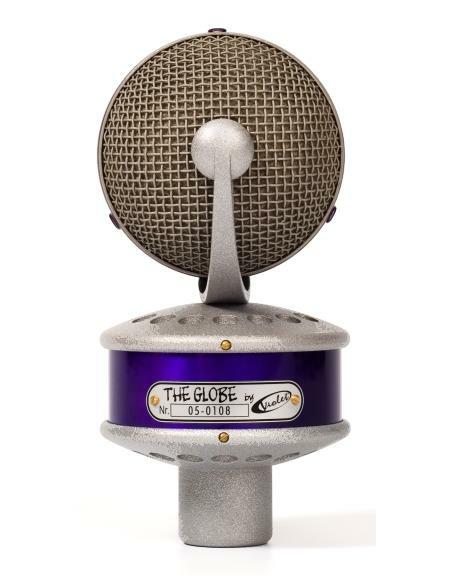 "The Globe" microphone uses a large size dual diaphragm capsule and is designed for detailed and neutral sound - with transparent highs, smooth midrange with minimal presence and close to flat low-end response. It has a cardioid polar pattern. 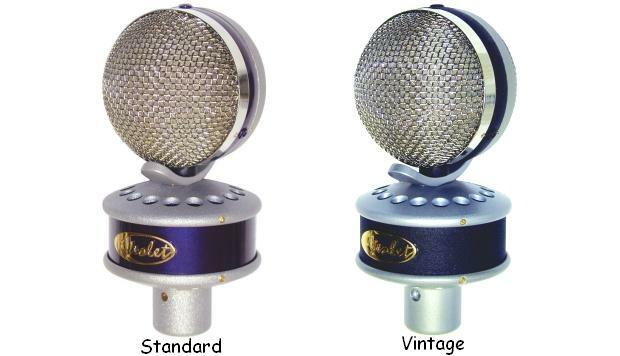 "The Globe" series of cardioid studio microphones are designed for world-class recording situations where sound quality and musical character is of utmost importance. "The Globe Standard" uses a large size dual diaphragm VD67 capsule and is tuned for a classic, wide-spectrum microphone sound ideal for instrument or orchestral applications. "The Globe Vintage" uses a different large size dual-diaphragm VD47 capsule providing a sweet and warm, vintage vocal microphone sound. Both models utilize an isolated spherical head assembly constructed of brass mesh for maximum acoustical transparency. The large dual-diaphragm true electrostatic condenser capsules use the highest quality 6-micron Mylar film. The diaphragms are tensioned and adjusted on precisely-made brass backplates and sputtered with a special-formula gold mixture. This process gives a faster impulse transient response without sound coloration or low-frequency reduction and adds the ability to handle louder sound pressure levels. The internal solid state preamplifier of the microphone is a Class 'A' fully discrete transformerless circuit, built using only the highest quality components. The circuit is designed to achieve the highest audio standards and provides a flat frequency response, high dynamics, ultra-low self-noise, and very low audio distortion of all types. "The Globe" should be used with high quality, regulated 48V phantom power. 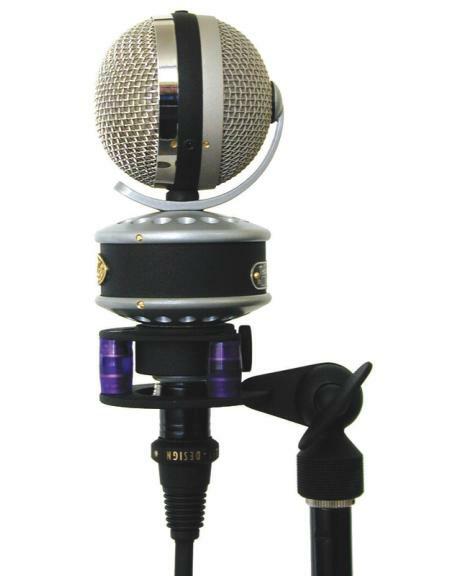 Rugged microphone construction and 2 internal shockmounts (one for the capsule and one for the electronics) effectively reduce stand rumble, outside infrasonic interference and mechanical shocks. "The Globe" is based on a dual diaphragm large-size true electrostatic capsule. The highest quality 6-micron Mylar film active diaphragm is sputtered with our special formula of gold mixture, and tensioned on a precisely made brass back-plate. It provides a faster transient impulse response, minimum sound coloration, better low frequency response, and allows the capsule to handle louder sound pressure levels. Each capsule is carefully checked for all parameters and measured in an anechoic chamber for optimum of performance. The unidirectional cardioid polar pattern effectively reduces ambient studio noise, but the frontal incidence angle is optimally wide. 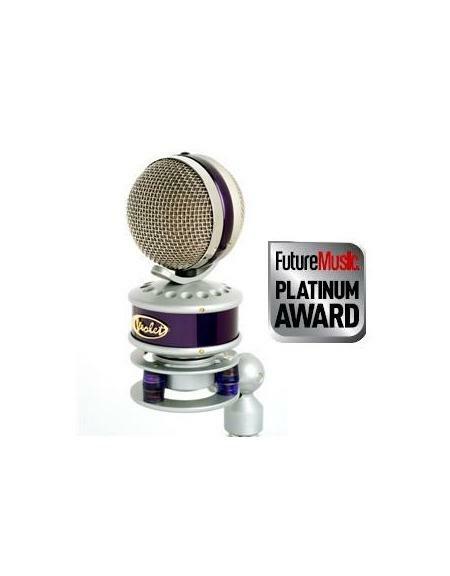 The microphone's head-grille is made as acoustic filter of multi-layer brass mesh that reduces plosive sounds, breath, pop and wind noise, minimizes internal resonance, and keeps high frequencies and sound transparency unaffected. 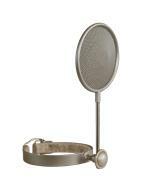 The additional metal mesh studio pop-filter and polyurethane open cell foam wind-screen are available as options. The internal solid state pre-amplifier is based on a class-A fully discrete transformer-less electronics circuit, built using the best quality, selected components. The circuits are designed to the highest audio standards and provide a linear audio frequency range, high dynamics, ultra-low self-noise, and very low audio distortion of all types. "The Globe" requires quality and stable 48V phantom power. It is available from most external microphone pre-amplifier and mixing console inputs, or from a separate phantom power supply. Some units, though rated as 48V sources, may supply inadequate or unstable phantom power, which can result in distortion and degraded performance. Please check your phantom power source under real microphone load. 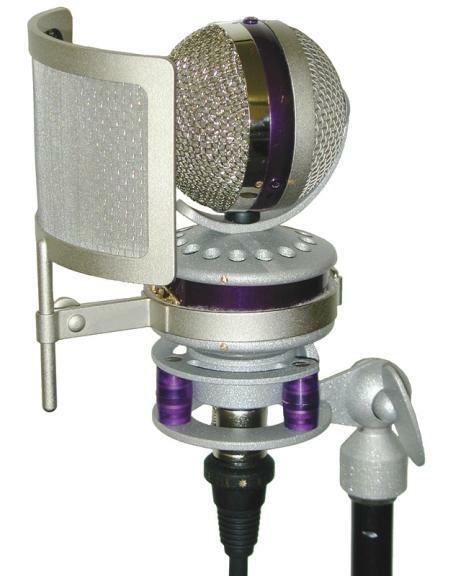 Rugged microphone construction and two internal shock-mounts, separate for the capsule and for the electronics, effectively reduce stand rumble, outside infrasonic interference and mechanical shocks. "The Globe" is ready for operation on the supplied stand adapter, but for the best isolation we recommend to mount it on optional external elastic suspension studio shock-mount. "The Globe" works with a standard symmetric microphone cable, but we recommend to use our audiophile quality microphone cable with gold plated contact connectors to minimize external noise, signal loss and maximize contact quality. Microphone cables are available as option. 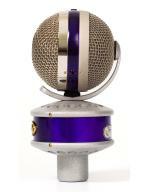 Under the special order "The Globe" microphones are available in matched stereo pairs to provide balanced stereo recordings. "I gotta say that the Globe was phenomenal all the way around the sound spectrum...it had a satisfying, airy quality with very little coloration." 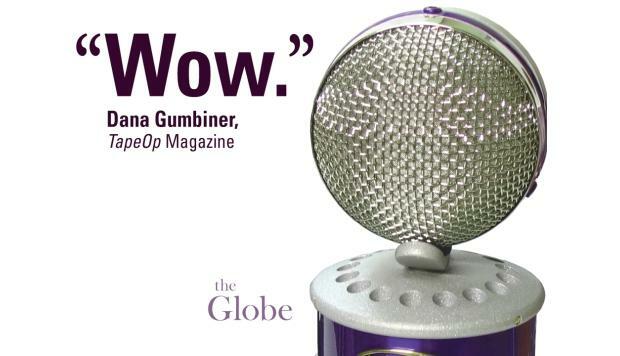 "The Globe Vintage is a great mic! In the past, I used it solely as a mono room in front of a drum kit, but now it has made its way closer to the kick, replacing my normal outside kick mic. The Globe Vintage has lots of gain, great body and fantastic bottom. I also recommended it on bass guitar for a big sound." "The Globe" microphone is designed for the recording studio needs and is capable of capturing vocal, piano, guitars, drums, percussion, strings, wind and many other sound sources. The microphone can be successfully used in professional sound reinforcement systems, in broadcast and TV studios, in movie and video industry, project studios and home recording, and many other applications. "The Globe" is an excellent choice for studio recording of vocals, piano, guitars, drums, percussion, strings, wind and most other sound sources. "The Globe Standard" model is especially good for articulated female vocals and other full range lead sounds. 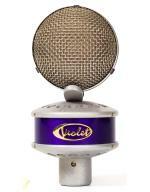 "The Globe Vintage" has a warmer lead tone and is ideally suited for close male vocals. 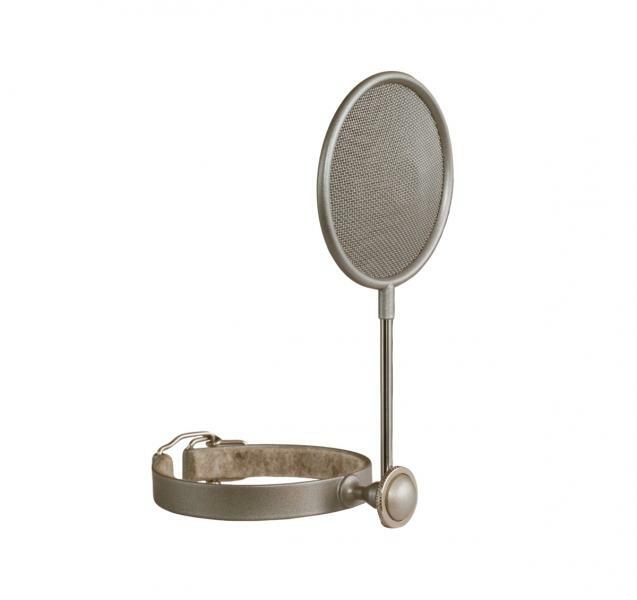 When used for vocals, close miking from 1/2" to 4" generally achieves the best results, so we recommend the use of metal or foam pop filters for pop protection. The fast impulse transient response, crystal clear highs and high SPL handling make it excellent for recording drums; especially for snare drum, overhead and hi-hat. It is also excellent on piano, electric and acoustic guitars, bowed strings, and brass instruments. VOCALS "The Globe" is great on vocals. Use them 2 to 10 cm from capsule to get the best results. 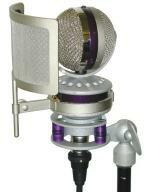 There is no need to worry about the microphone overload in case of close using. 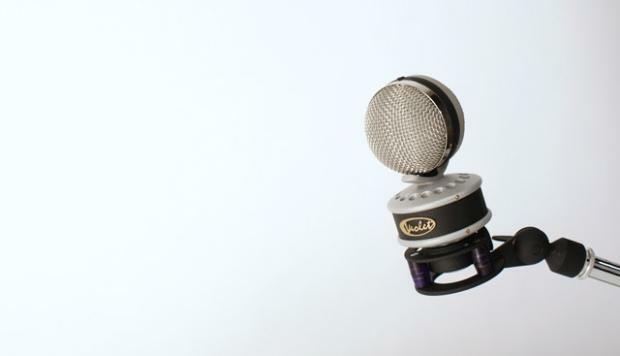 Using pop-filter in studio, or foam wind-screen in live application can additionally help to reduce plosive sounds, breath, pop and wind noises. PIANO "The Globe" gives excellent results on piano. Use a pair or more for stereo recording. There are many methods with close miking, distance miking and combined miking. The result depends highly on the piano player and instrument individuality and rooms acoustics. The right microphone placement is the most important factor. The best method is to find it by your own ear - go and listen. ACOUSTIC GUITARS "The Globe" is giving excellent results on both - metal string acoustic guitars and classical nylon string acoustic guitars. Right placement is the most important factor again. We recommend to begin with facing the microphone to guitars neck, where it joins body, at some 10 cm distance from it. Use a pair or more microphones for stereo recording. ELECTRIC GUITARS "The Globe" gives excellent results for all - dynamic and bright clean amp sound, for aggressive lead guitar overdrive and distortion sounds, and for warm jazzy tones recording. Place the microphone at 5 to 10 cm from the center of a loudspeaker to get more upper frequencies, or move the microphone toward the cone edge to get a fuller tone with more mid and low frequencies. We recommend orienting a microphone diaphragm under some angle with a loudspeaker diaphragm to avoid low frequency peaks. Larger distance from the loudspeaker will add more air and room acoustics and soften high frequencies. There are endless methods of combining close miking, distance miking, miking from a backside of an open speaker box, experimenting with different room acoustics, etc. DRUMS "The Globe" fast impulse transient response, crystal clear highs and loud SPL handling make it excellent for the drums recording, especially for snare drum, overhead and hi-hat. The advisable distance is 5 to 10 cm from a drum rim, but you can try different positions and angles. A bigger distance will add more air, environment and naturalness. A smaller distance will increase the low frequencies and separation from other sound sources. You can use a pair as overhead microphones. There are different methods to record drums - from one pair of stereo microphones for right balanced drum kit in an optimal acoustics room, to several microphones on each drum kit unit. PERCUSSIONS Like the drum recording "The Globe" microphone gives transparent, clean and real results in all kinds of percussion recording. The distance of 25 cm is the best to start. Closer distance will add more details, tone and separation. Larger distance will add room ambience, naturalness and blending with other instruments. BOWED STRINGS "The Globe" is an excellent choice for recording all kinds of bowed string instruments. The distance of 25 to 40 cm above the instrument bridge is preferable for violin and viola. The distance of 10 to 20 cm in front of bridge is right for double bass or cello. BRASS AND WIND The smooth, natural tone of "The Globe" microphone makes it the best choice to record saxophone and other brass and wind instruments. For the clarinet and the soprano saxophone use the microphone 10 to 30 cm above the horn and lowest pads. For the other saxophones place the microphone 5 to 15 cm in front of the lip of the bell. For the flute place the microphone above the middle of the instrument. Use 10 to 50 cm distances for the trumpet, the trombone, the French horn, the tuba and other brass instruments.